Turkish Prime Minister says his country’s ties with Israel will not return to normal unless Israel stops Gaza airstrikes. Turkish Prime Minister Recep Tayyip Erdogan declared on Thursday that his country’s ties with Israel would not return to normal unless Israel ceases its offensive on Gaza, AFP reports. "You will first stop this oppression. If not, it is not possible to realize normalization between Turkey and Israel," Erdogan said in the central Anatolian city of Yozgat after a dinner breaking the daily Ramadan fast. Relations between Israel and Turkey have been strained in recent years, in light of the Mavi Marmara incident of 2010. The soldiers had no choice but to open fire, resulting in the deaths of nine of the activists on board. Israel and Turkey have been locked in talks for more than a year over compensation, after Prime Minister Binyamin Netanyahu extended a formal apology to Ankara under pressure by U.S. President Barack Obama. Erdogan said Thursday that Turkey's first two conditions - apology and compensation - appeared to have been fulfilled. He added, however, that Israel’s recent airstrikes on Gaza showed that Israel had no intention of complying with Ankara's third condition: ending the blockade on the enclave. "Then how can we normalize (ties) with you?" he said, according to AFP. 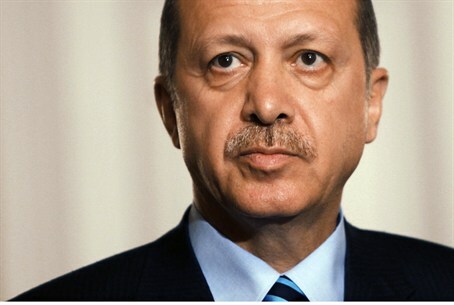 Erdogan also lashed out at what he called Israel's "disproportionate use of force against innocent" Palestinians, calling on the world and the United Nations to stop the assault. He spoke on the phone with Palestinian Authority Chairman Mahmoud Abbas and Hamas chief Khaled Mashaal about the Israeli action in Gaza, an official from his office told AFP.